The answer is emphatically, “YES!”. Not only can you, but you probably should, if you don’t mind it. 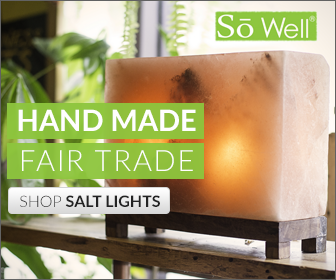 Himalayan salt lamps have small, low-wattage bulbs in them, so there really is no problem in leaving them on in terms of your electricity bill. Also, because there is a low-wattage bulb, the lamp does not get hot, it only warms up a little. This means there is no risk of the lamp over-heating because of being left on too long. It’s worth remembering too that Himalayan Salt lamps are not de-ionising fans, they are not de-humidifiers – they are not high technology, they are low technology. They are analogue, like vinyl, tapes and valve amplifiers. They work slowly. In short, they work best if you can leave them on continuously. The bulb inside the lamp warms the salt up slightly, and this encourages the process by which the lamp takes positive ions and free radicals and impurities out of the air, and releases negatively ionised water vapour in return. Salt is hygroscopic, which means it attracts moisture out of the air. Many impurities we find in our air, particularly in cities, are bound up with water molecules. Car exhausts release water vapour as well as CO2 and soot and various other noxious gases. When your salt lamp absorbs this water, the impurities are bound up into the salt’s ionic matrix, and the water then evaporates due to the gentle heat from the salt lamp – all negatively ionised and pure like water vapour should be, like morning mist in the country, like the spray off a waterfall. Now, if your salt lamp is in your bedroom then I would advise you to exercise some caution. It is well known that the very best sleeping is done in total darkness. Some people don’t like it, but I recommend trying it if you never have – you won’t look back. 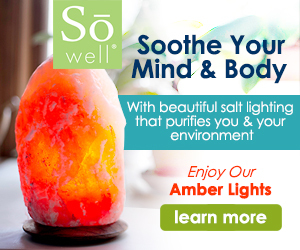 With that said though, the truth is that the warm orangey-amber glow of salt lamps is probably about the next best thing – if you have to have a light on. They are ideal for children’s rooms for this reason – what kid doesn’t get frightened of the dark from time to time? With one of these as a night-light you know that your child’s sleep will not be disturbed by blue daytime wavelengths of light – which can really negatively affect you sleep. You also know that your salt lamp is doing its work to help purify the air in the child’s room all through the night. It’s a pretty comforting thought. Yaya! Negative x negative = + ? I had doubt but, in my gut I felt it right that it’s okay for the light to stay on. Thank you for confirming this knowledge.